80% of a child’s learning occurs visually. So if children have poor vision, they’ll find it difficult to learn at school and reach their full potential. Nor will they enjoy everyday childhood activities as much as they could be. Without early treatment, vision defects such as a “lazy eye” can become permanent disabilities. 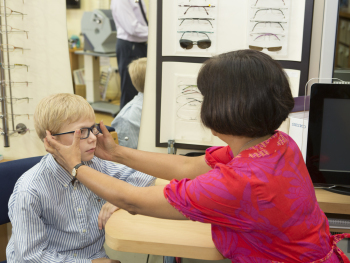 Regular eye examinations are crucial for your child’s healthcare and personal development. The NHS provides FREE sight tests for all children, and if your child does need glasses, you will receive a contribution towards the cost and be able to choose from a wide range of spectacles specifically designed for children. You will find that our practice offers a wide range of attractive styles specifically designed for small faces. Many frames have soft nose-pads for extra comfort and sprung hinges to cope with the rough and tumble of everyday life. For even greater protection, however, there are lenses made of polycarbonate. 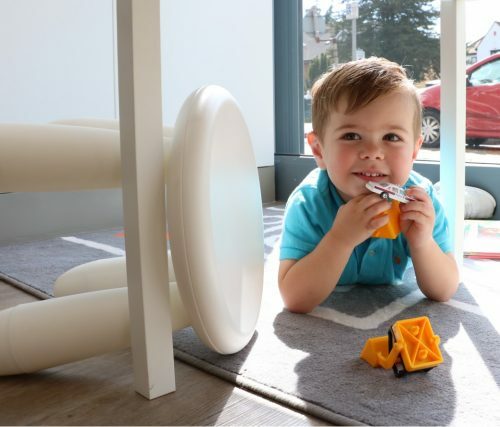 Although more expensive, they are virtually unbreakable and ideal for children. Children and teenagers must feel comfortable about wearing spectacles- or else they may not use them when they should. So, we take great care in explaining why glasses are important as well as ensuring that they fit well and look good. For those children who need glasses full-time, a very popular alternative are contact lenses. Modern contact lenses are made of very flexible materials that allow your eyes to breathe, and so ensure exceptional comfort for the wearer. There is no minimum age at which contact lenses can be worn- virtually all children who need glasses are eligible to wear them. The best way to find out if your child is suitable to wear contact lenses is by taking advantage of our FREE comfort trial. For mild to medium short sight, many children would benefit from the EyeDream lens correction system- a way of wearing gas permeable lenses overnight, which reshape the front surface of the eye, leaving the child free from glasses or contact lenses , with clear vision all day long. Perfect for swimmers, and for those who like their sports!